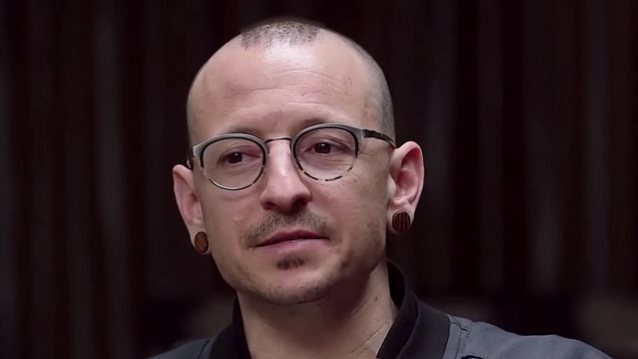 The Los Angeles acting chief coroner Dr. Christopher Rogers has recorded Chester Bennington's manner and cause of death as suicide by hanging. Nani Cholakians, an investigator with the coroner's office, was named on the Los Angeles County Department of Medical Examiner – Coroner web site as having been involved with the LINKIN PARK singer's case. Bennington's case status is listed on the site as "closed." The LINKIN PARK frontman's body was discovered Thursday morning (July 20) by an employee at the musician's Palos Verdes Estates home. The 41-year-old's body was hanging from a belt on a bedroom door inside the house in the 2800 block of Via Victoria, Ed Winter, spokesman for the L.A. County medical examiner-coroner, said on Friday. A half-empty bottle of alcohol was found in the room, though it was not near his body, Winter said. A suicide note was not found, Winter said. Winter said an autopsy was pending, and that toxicology tests were also likely to be carried out. Bennington struggled with drugs and alcohol for years. He had said in the past he had considered committing suicide because he had been abused as a child by an older male.